ntique chest solicitors cabinet circa 1880. 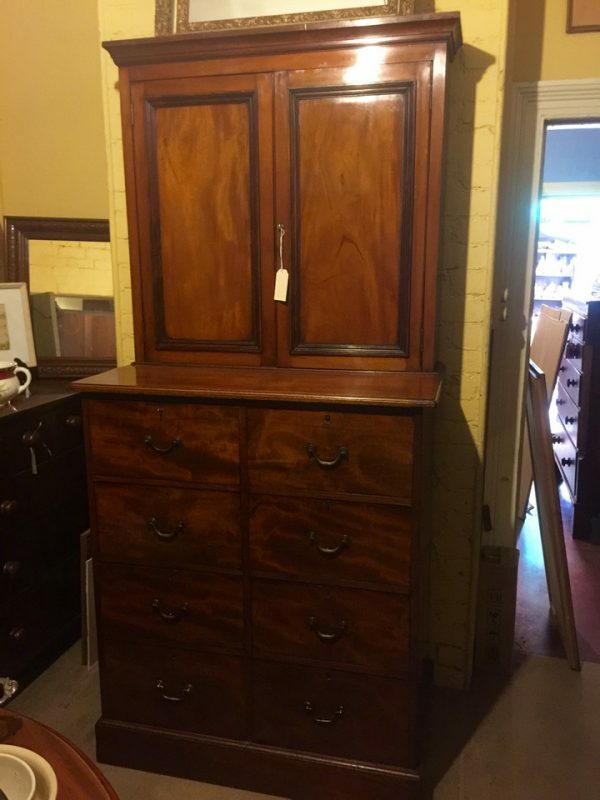 This rare one off piece is in flame mahogany and features eight large deep drawers below a panelled two door top. All in SOLID flame mahogany. Fantastic value.